While some students rarely have the funding or the time to attempt a mid-semester excursion into the bountiful Northwest, an annual respite of seven full days of sun and joy shines down on those who are tired of doing homework in the form of spring break. How to spend that respite is up to you. There are quite literally hundreds of potential adventurous activities within just a few hours of George Fox University. 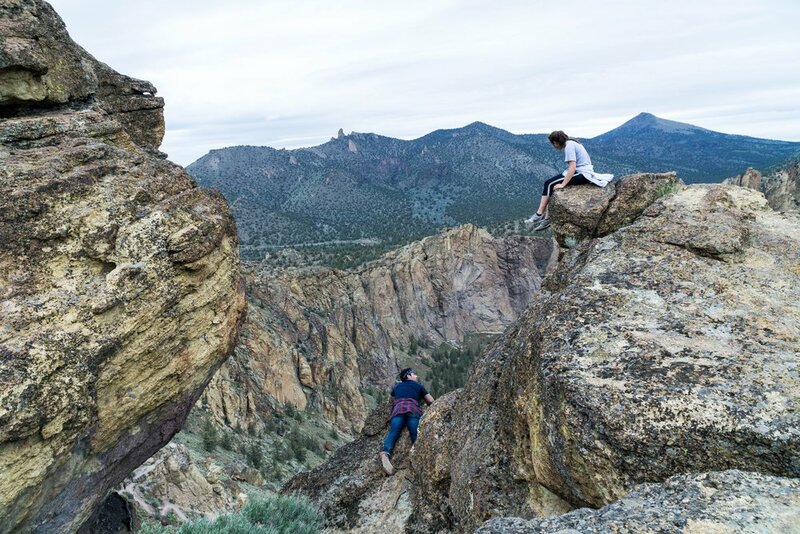 For those who love the outdoors and realize that tent-camping is a must, here is a list of the top nine places in western/central Oregon that are home to some of the most epic camps, hikes, and day-use areas. What is not to love about one of Oregon’s fastest growing cities? Birthplace of the Hydroflask, Bend is an essential destination for an extended vacation. For skiers, Mount Bachelor offers her fresh pow. For climbers, hikers, and photographers, Smith Rock State Park is less than 45 minutes away. For everyone trying to get a taste of a big city other than Portland, Bend has the endless options to accommodate all needs. Kites, knick-knacks, clam chowder, outlets, windy beaches—just to name a few of the options in town. Do not confuse this one with Pacific City, as most students often do, because Lincoln City has some of the best comparative hiking options. If you are not afraid of heights and like to be home in time for dinner, check out God’s Thumb Trail. Two thumbs up for this one. Just outside of Elkhorn, Ore. and named for surreal blue-green waters, Opal Creek boasts a neat campground, has a couple port-a-potties, and is only an hour-and-a-half away from campus. If you can stand the freezing temperatures, then be prepared for some of the best cliff jumping on this side of the Willamette. If you have not attempted a trip to one of the most famous destinations in all of the Northwest can you really call yourself an Oregonian? But remember all of the smoke that blanketed campus back in August? That was the Eagle Creek fire in the gorge that burned over 20,000 acres of natural land, hiking areas, and day-use areas, rendering many popular hikes too dangerous for foot traffic. Some places are still open for business, but check online for updates. Otherwise, head over to the Washington side for a new adventure. Meadows, Ski Bowl, and Timberline ski resorts will be in their prime seasons. Most activities in this area are in higher elevation, and that means snow. If you ski, board, or tube, there are definitely options. Professional Tip: Ski Bowl is the largest night ski area in North America. The lift tickets are half the price of regular full-day deals. Ever wanted to see a lighthouse offshore and rough it in a bare minimum, Adirondack style shelter at the same time? With this adventure you totally can. Ecola State Park has a lot of cool historic info to peruse while on an afternoon hike, and provides a nice get away from the standard beach-bum life (no offense to #2). Professional Tip: Try the two day through hike from Seaside, to Cannon Beach, as it has nice views and you can avoid the parking and camping fees. Spend a couple of hours in the car with your friends and a bag of trail mix, and in a few hours you will find yourself staring at millions of years of layered history. From the nearest town of Mitchell, Ore., about 45 minutes further east are the John Day Fossil Beds. Professional Tip: Fuel up in Prineville, because when 130 people in Mitchell call it a day, so do the gas stations. Since housing kicks everyone out for the week and many students do not feel like going far, grab your tent and head south of Newberg on Highway 219 and you will be in the closest state park in less than 15 minutes. Do not forget cash, though; the ground you will be sleeping on is not free. Professional Tip: Bring a bike, if you have one. There are quite a few miles of trails.